New Delhi : PM Narendra Modi wrote an open letter to people of India, he highlighted the work done by his BJP government in fulfilling its poll promise. 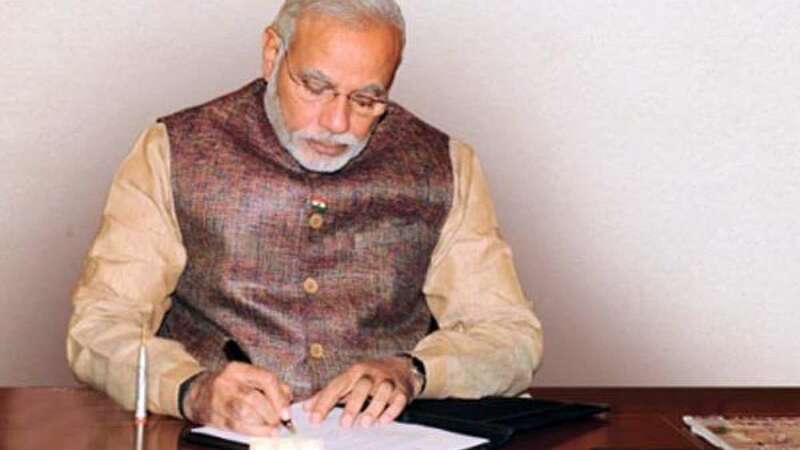 In the letter, Modi penned down various topics ranging from curbing inflation, transparent auction of natural resources to social initiatives like Swachh Bharat, Jan Dhan Yojana. Service, in our Indian ethos is the ultimate duty – Seva Parmo Dharma. One year ago, you had entrusted me with the responsibility and honour of serving you as your Pradhan Sevak. I have devoted every moment of every day, and every element of my body and spirit, in fulfilling the same with fullest sincerity and honesty. We assumed office at a time when confidence in the India story was waning. Un-abated corruption and indecisiveness had paralyzed the government. People had been left helpless against ever climbing inflation and economic insecurity. Urgent and decisive action was needed. We systematically went about addressing these challenges. Runaway prices were immediately brought under control. The languishing economy was rejuvenated, building on stable, policy-driven proactive governance. Discretionary allotment of our precious natural resources to a chosen few was replaced with transparent auctions. Firm steps were taken against Black Money, from setting up a SIT and passing a stringent black money law, to generating international consensus against the same. Uncompromising adherence to the principle of purity, in action as well as intent, ensured a corruption-free government. Significant changes have been brought about in work culture, nurturing a combination of empathy as well as professionalism, systems as well breaking of silos. State governments have been made equal partners in the quest for national development, building the spirit of Team India. Most importantly, we have been able to restore Trust in the government. Guided by the principle of Antyodaya, our Government is dedicated to the poor, marginalized and those left behind. We are working towards empowering them to become our soldiers in the war against poverty. Numerous measures and schemes have been initiated – from making school toilets to setting up IITs, IIMs and AIIMS; from providing a vaccination cover to our children to initiating a people-driven Swachh Bharat mission; from ensuring a minimum pension to our labourers to providing social security to the common man; from enhancing support to our farmers hit by natural calamities to defending their interests at WTO; from empowering one and all with self attestation to delivering subsidies directly to people’s banks; from universalizing the banking system to funding the unfunded small businesses; from irrigating fields to rejuvenating Ma Ganga; from moving towards 24x7 power to connecting the nation through road and rail; from building homes for the homeless to setting up smart cities, and from connecting the North-East to prioritizing development of Eastern India. Friends, this is just the beginning. Our objective is to transform quality of life, infrastructure and services. Together we shall build the India of your dreams and that of our freedom fighters. In this, I seek your blessings and continued support. Always in your Service.